Repurposed Chococat & Stars headband! 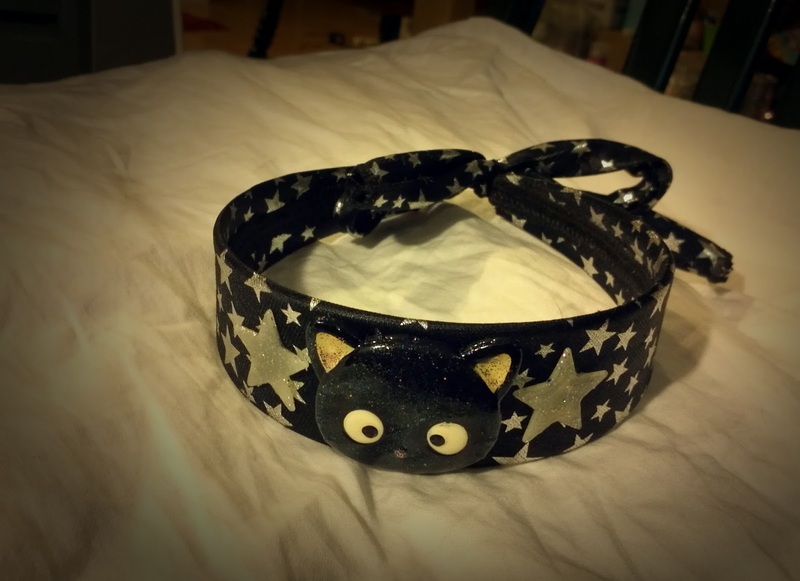 This head band from done up with stars, including one glow in the dark star on each side. Center features Chococat emblem covered in fine glitter. Everything is permanent glued and sealed with epoxy resin. Headband ties in the back.